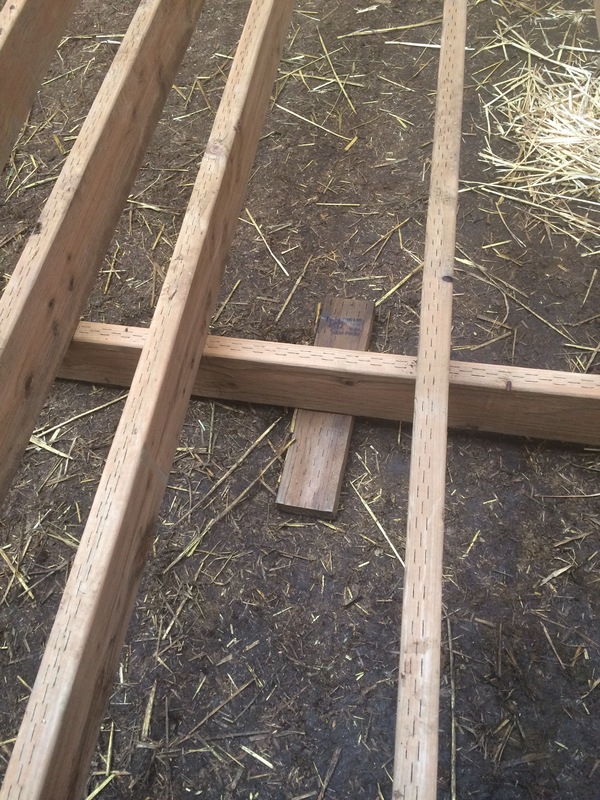 My cousin Sally saw the joists we were putting in from previous post and she told me about her husband’s recommendation. 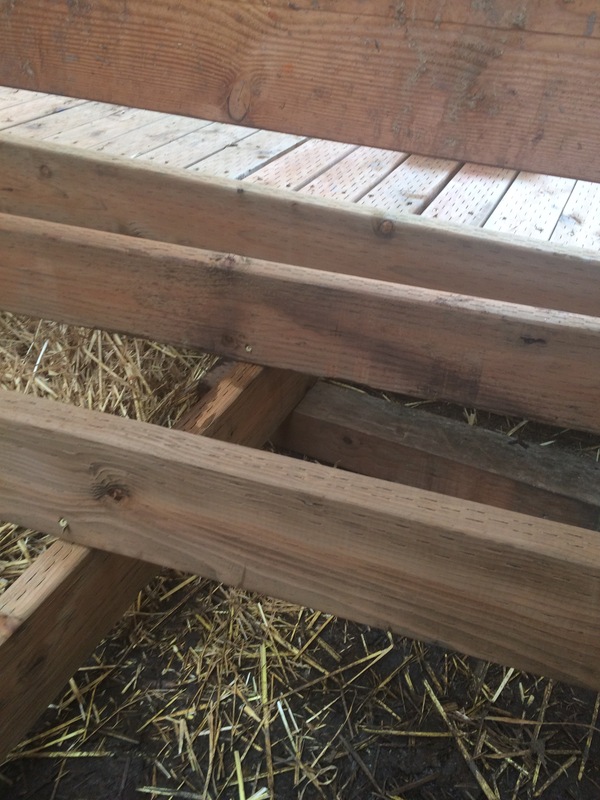 He said to put in Rot boards. 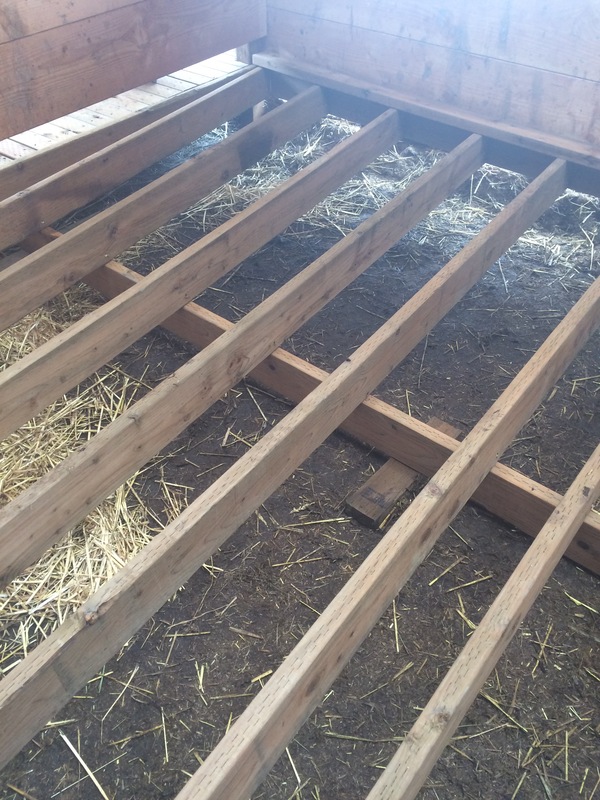 The way I understand it is a rot board is a pressure-treated piece of wood on the ground that holds up another piece of wood that helps support the joists in the center. Here are some photos of our rot boards and the wood they’re holding up that helps support the center of our joysts. This system seems to be working very well and is making our joists much stronger already. When I told John about the rot boards, he suggested instead of a rot board we use a brick. Hmm. That’s a good idea. Then it wouldn’t be a rot board and it wouldn’t rot! Ha ha! For the third stall we’ll try that! I find that sharing what I am doing always brings in new information for me to learn from! Always I come away with better ideas than I began with!! Next Next post: Mechanical Necessity!